A few days ago, Hipmom remarked to me that dusting off ye olde blog, incidentally a few days away from the arrival of my second child, is a hallmark nesting behavior. I was taken aback. Here I was, for months accusing her of nesting and admonishing her for roping me into her little schemes to prepare for Baby. I mean, really, the baby does not need a room of her own for a few weeks, so what’s the rush? Get a bassinet? Feh, let’s make it out of the hospital with a detached infant first. But after some proper reframing (and I’m not talking about baby photos), I’m pretty darn proud of how well-prepared we are for our new child. And my wife couldn’t do it without me. I’ve also started realizing how much reflexive nesting I’ve been engaged in. Although much later in the game from my Hippartner, I’ve been nesting too, and without really knowing it. Look, I’m only defending the right of women to nest to their heart’s content because I think my wife is onto something, and that indeed many human males nest themselves. The largest difference between female nesting and male nesting is that while the former is geared toward the survival of the baby (the “Other”), the latter is geared toward the survival of the daddy (the “Self”). A subtler difference is that males tend to equate post-partum with post-Apocalyptic. We therefore try to check off items on our bucket list while judiciously preparing for the postnatal reality, having to sustain on meager rations. Mad Men marathon on Netflix. Once the baby arrives, television and general entertainment will be either strictly verboten, regulated, or completely banished from the household, so it’s important to get your fix in now. Being able to recite Don Draper lines in your head would come in handy during the 5th viewing of “Barney’s Adventure Bus”. 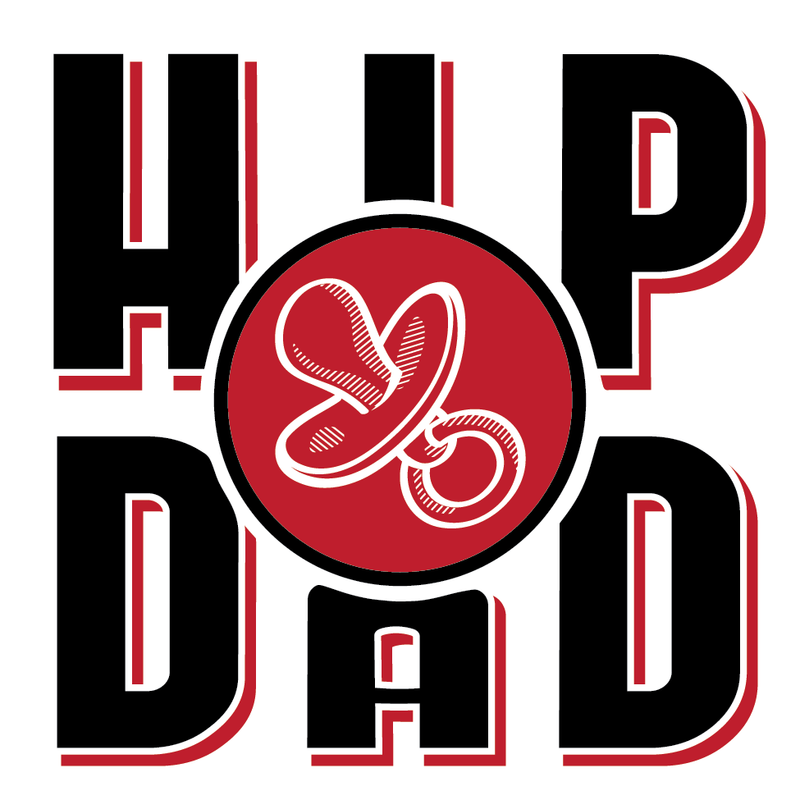 Also, while Hipdad is a huge fan of Mad Men, this applies to many TV shows, R-rated comedies, horror movies, adult-themed cartoons, and any other media that does not fall under the genre “Kids and Family”. Pay unpaid parking tickets. There’s no time like the prenatal present to pay those violations and overdue bills that have been collecting dust and interest for years on end. The baby must not grow up thinking their daddy a felon (if you’re an actual felon, more reason to pay up; think of it as “low-hanging fruit”). This, above all, is a matter of pride. Because in reality it might be pointless to pay these bills. By now, most of them have probably been transferred to collection agencies. Build a mancave. Whether it’s a space in the garage, the basement, the office, the linen closet, the bomb shelter, or the bathroom, you need to build a private and sacred sanctuary for yourself. You will find yourself having to escape for a little while (just a few days) and the mancave lets you remain moderately accessible if the need arises. This is the most literal male-exhibited nesting behavior, but perhaps the most important. Note: Building a mancave in the baby’s new room doesn’t count. Buy birth cigars. To preserve the last vestiges of manhood and tradition (both of which are upended by kids), the father-to-be should buy a nice expensive box of cigars to give out to random males (be they companions or strangers). Nothing says “I’m the man of this here household” like lighting up a slug of hand-rolled tobacco from the Caribbean. While other nesting behaviors are directly harmless to Baby, this one is so crucial because it’s particularly toxic if the baby is exposed to it. And yet it’s important for the male creed to assert itself. Do not worry if, well after birth, you find yourself with a mostly filled box of cigars because apparently most of the men you know just aren’t into cigars. You can always use the filled box to hold down unpaid parking tickets. For extra credit, get Cubans; one day you may be able to show them off to your grandkids. Learn a new skill unrelated to parenting. Whether it’s a foreign language, a musical instrument, or woodcarving, learning a new skill is a throwback to our youthful ambitions. You’ve always told yourself you wanted to learn how to play “Stairway to Heaven”, and now you have a few unfettered months to do it. And perhaps your child can shed some new light on the meaning of those lyrics. Of course, this can all backfire when you desperately realize that all you learned was how to curse in German or that “Stairway to Heaven” is made up of more than 3 chords. Get into crazy shape. It’s quite known among the fatherati that the only forms of exercise during the first few weeks of life are rocking Baby and burping her after feedings. It’s therefore essential that, ahead of the birth, we devote just a few hours each day to eradicate every ounce of fat from our bodies. It would be extremely embarrassing, not to mention uncomfortable, if Baby decides to latch on to Daddy’s breast because the flab is easily mistaken for Mommy’s. Also, to make working out more effective, try to set a goal (such as running a marathon or riding a century) to be accomplished a few weeks after birth. This will allow you some leeway with your partner to escape the pooping, the wailing, and daddy duties more generally. For extra credit, work out in your mancave. Write a blog. Of course, as alluded to in the top of this post, (re)starting a blog on the eve of Babypocalypse is a quintessential male nesting pattern. Nothing puts you in touch with your own fears and hopes about fatherhood as sharing your thoughts with the rest of the world. But all snark aside, I’m finding this writing exercise very therapeutic and meaningful in preparation for my second child. The one redeeming aspect of male nesting is the recognition that the arrival of Baby is a life-altering experience. Because of human self-awareness, we’re fully capable of understanding well in advance that the focus will shift from ourselves to the baby. And so these nesting patterns are a last-ditch effort to fill our bucket list while we still can. It is, in my humble yet hip opinion, better than when fathers continue their old male habits, at the cost of spending quality time with their child, well after birth. It’s certainly important to maintain personal interests and a sense of identity while being a daddy, but being a daddy comes first. That balance is the crux of Hipdad existence. 1 I carefully compiled them through the painstaking scientific observation of a cohort of fathers (N=1) ahead of their partners’ labor.